Authentication, Information Security, Cloud Computing, WSN Security. Preeti Chandrakar, Hari Om “A secure and robust anonymous three-factor remote user authentication scheme for multi-server environment using ECC,” Computer Communications (Elsevier), [SCIE], vol. 110, pp. 26-34, 2017. Cited by 11. Preeti Chandrakar, Hari Om “Cryptanalysis and improvement of a biometricbased remote user authentication protocol usable in a multiserver environment, ” Transactions on Emerging Telecommunications Technologies (Wiley), [SCIE], vol. 28, no. 12, 2017. Cited by 8. Preeti Chandrakar, Hari Om “Cryptanalysis and extended three-factor remote user authentication scheme in multi-server environment, ” Arabian Journal for Science and Engineering (Springer), [SCIE], vol. 42, no. 2, pp. 765–786, 2016. Cited by 12. Preeti Chandrakar, Hari Om “An efficient two-factor remote user authentication and session key agreement scheme using Rabin cryptosystem, ” Arabian Journal for Science and Engineering (Springer), [SCIE], vol. 43, no. 2, pp. 661–673, 2017. Cited by 4. Preeti Chandrakar, and Hari Om "An Extended ECC Based Anonymity Preserving Three-Factor Remote Authentication Scheme Usable in TMIS", International Journal of Communication System, Willey, Vol. 31(8), pp. e3540, 2018, [SCIE] , IF-1.717. Cited by 1. Preeti Chandrakar, and Hari Om "A Secure Two-Factor Remote User Authentication and session Key Agreement Scheme", International Journal of Business Data Communications and Networking (IJBDCN), IGI Global, Vol. 12(2), pp. 62-79, 2016, Scopus, IF-0.6, Cited by 10. Preeti Chandrakar, and Hari Om "Cryptanalysis and Security Enhancement of Three-Factor Remote User Authentication Scheme for Multi-Server Environment", International Journal of Business Data Communications and Networking (IJBDCN), IGI Global, Vol. 13(1), pp. 85-101, 2017, Scopus, IF-0.6, Cited by 8. Preeti Chandrakar and Hari Om "RSA Based Two-Factor Remote User Authentication Scheme with User Anonymity" Procedia Computer Science, Vol. 70, pp. 318-324, (Elsevier), Scopus, Awarded Best Paper, Cited by 6. Preeti Chandrakar "A Secure Remote User Authentication Protocol for Healthcare Monitoring Using Wireless Medical Sensor Networks" International Journal of Ambient Computing and Intelligence (IJACI), IGI Global, Scopus, (Accepted). Preeti Chandrakar, and Hari Om "A Secure Two-Factor Mutual Authentication and Session Key Agreement Protocol using Elliptic Curve Cryptography" Int. Conf. on Computer Graphics, Vision and Information Security (CGVIS), Nov. 2-3, 2015, (KIIT), pp. 175-180, published in IEEE Explore Cited by 3. Preeti Chandrakar, and Hari Om "A Secure and Privacy Preserving Remote User Authentication Protocol for Internet of Things Environment" 1st Int. Conf. on Computational Intelligence, Communications, and Business Analytics (CICBA-2017), March 24-25, 2017, Calcutta Business School, Kolkata, DOI:10.1007/978-981-10- 6427-2 43, pp. 537-551, Springer. 2014–2018: Doctor of Philosophy (Ph.D), Department of Computer Science and Engineering, Indian Institute of Technology (IIT), Dhanbad, Jharkhand, India. Supervisor: Dr. Hari Om, Assistant Professor, Department of Computer Science and Engineering, IIT(ISM), Dhanbad-826004, Jharkhand, India. 2008–2012 Bachelor of Engineering (B.E. 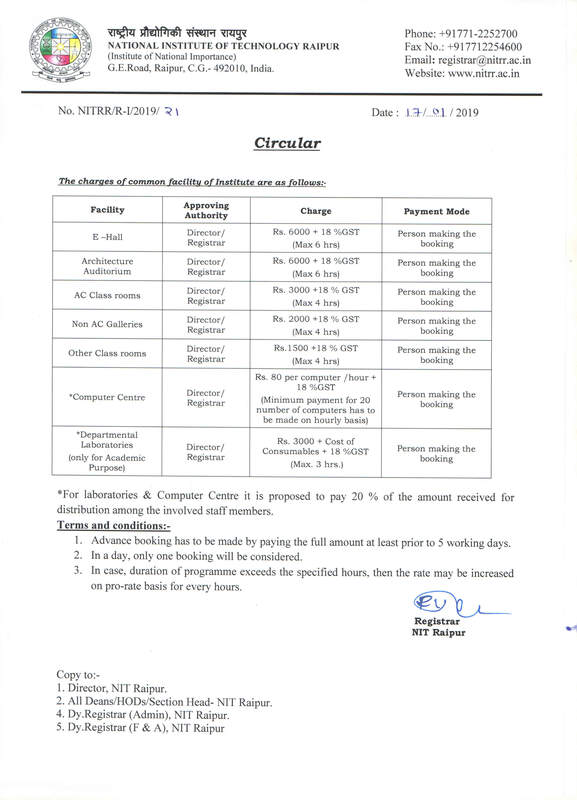 ), Department of Computer Science, Swami Vivekanand Technical University, Bhilai, Chhattisgarh, India, Percentage–74.52%. Received Senior Research Fellowship, July 2016 –2017 from IIT(ISM), Dhanbad. Received Junior Research Fellowship, July 2014 –2016 from IIT(ISM), Dhanbad. Best Paper Award in 4th Int. Conf. on Eco-friendly Computing and Communication Systems (ICECCS), 2015, NIT Kurukshetra. I am the reviewer of many reputed international journals and conferences. Secured 2nd place in Fifth State Level Woman Kabaddi Competition, 5-7 October 2005, Bilaspur, Chhattisgarh. Presented paper in the 2nd International Conference on Computers and Management (ICCM-2016) organized by Rajasthan Technical University (RTU), Kota, Rajasthan, India, 8-29 December 2016. Presented paper in the International Conference on Computational Technologies (ICCT-2016) organized by Poddar International College, Jaipur, Rajasthan, India, 26-27 March 2016. Participated in the 3rd International Conference on Recent advances in information Technology (RAIT-2016) organized by Department of CSE, IIT(ISM), Dhanbad, Jharkhand India, 03-05 March 2016. Participated in the short-term course on Digital Image Processing and its applications organized by Department of CSE, IIT(ISM), Dhanbad, Jharkhand India, 23-27 March 2015. Participated in the workshop on Patterns of Big Data and Analytics Adoption: Information Architecture Importance and Big Data Predictions for Technology organized by Department of CSE, IIT(ISM), Dhanbad, Jharkhand India, 03-05 March 2016. Participated in the short-term course on Data structures and Algorithms organized by Department of CSE, IIT(ISM), Dhanbad, Jharkhand India, 16-20 June 2014. Participated in the 2nd International Conference on Recent advances in information Technology (RAIT-2014) organized by Department of CSE, IIT(ISM), Dhanbad, Jharkhand India, 13-15 March 2014. 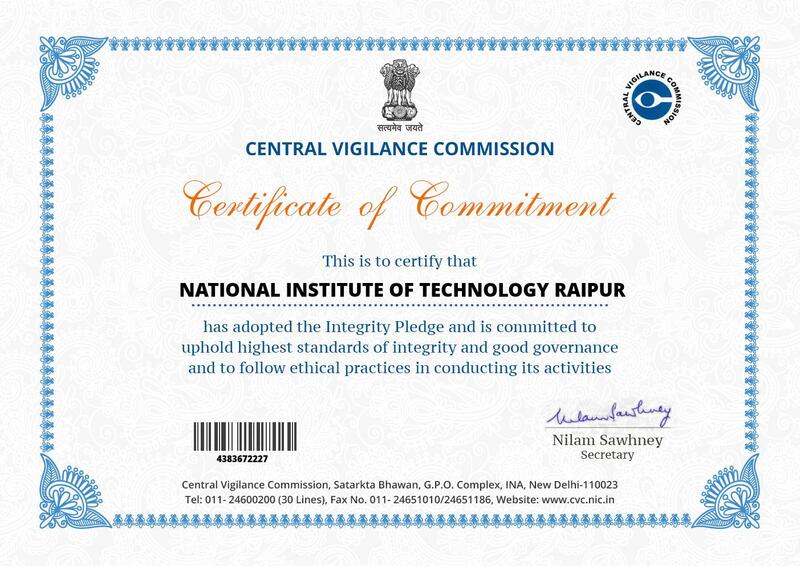 Participated in the National Conference on Advanced Computing & Communication Technologies (ACCT-2012) organized by Department of CSE, Chouksey Engineering College, Bilaspur, Chhattisgarh India, 28 January 2012.